THE FOUNDER OF Pieta House, Senator Joan Freeman, has announced she is leaving the charity to focus on growing a similar service, Solace House, in New York. Freeman founded Solace House, a suicide and self-harm charity, which serves the Irish diaspora and others in New York, in 2014 when she resigned as CEO of Pieta House. Pieta House was the first charity founded by Freeman, with its first centre opened in Lucan, Dublin in 2006. During her nine years as CEO, Pieta House helped over 20,000 people in its then-nine centres throughout Ireland. Launching tomorrow, Solace House will provide a free of charge crisis intervention counselling service to those who experience suicidal ideation and who may otherwise engage in self-harm. Freeman’s focus will be on the Irish diaspora based in New York, however, she aims to grow the service in other cities across the US. Minister for Children Katherine Zappone is expected to attend the charity’s opening ceremony at the New York Irish Center in Queens. Speaking ahead of the launch, Freeman said: “I am so grateful for the generosity, courage and vision of the Pieta Board who allow me to work in America to identify and meet the need for ‘helping the Irish wherever they are’. “I also want to acknowledge everyone who gave their time in making Pieta House the incredible organisation it has become today. Pieta House would not exist except for the courage of the people who came through our service and not survived, but thrived. 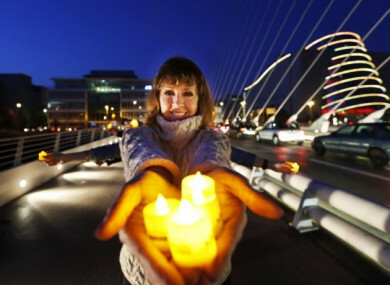 One of Freeman’s landmark projects in Pieta House was Darkness Into Light, the charity’s annual flagship fundraising and awareness event, that has grown into the country’s biggest fundraising event since its inception. Freeman was appointed to the Seanad in May 2016 and has since campaigned for improving child mental health services. Most recently, she was appointed as chairperson of the new Joint Oireachtas Committee on the Future of Mental Health. Solace House’s first office will be located at the New York Irish Center in Queens. Email “Pieta House founder Joan Freeman leaving charity for new mental health project in New York”. Feedback on “Pieta House founder Joan Freeman leaving charity for new mental health project in New York”.